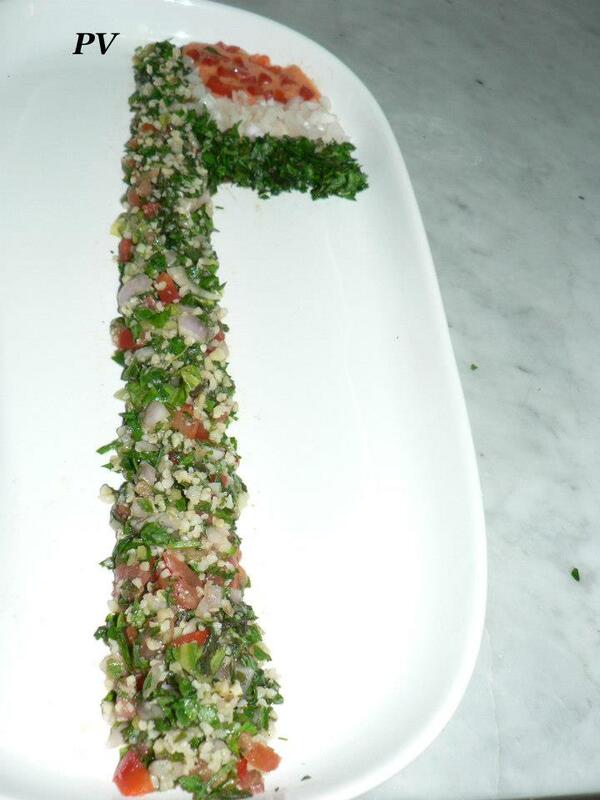 Tricolour Salad ………Happy Independence Day!!! Wish you a very Happy Independence Day!!! Can’t get fresher than this one!! !A refreshing delicious dessert to beat the summer heat,bursting with the goodness of luscious watermelons! !This queen of fruits,the red juicy watermelon is truly a powerhouse of antioxidants like Lycopene&Vit C truly making it a beauty food which makes you glow!! 1.Blend the listed ingredients and pour it in the candy or kulfi moulds. 2.Freeze it for at least 6 to 8 hrs. Put in a large heavy pan with 2 tbsp of water and heat on medium flame. Add ghee and heat, till it melts and starts bubbling. Add coarsely ground walnuts,almonds,peanuts,roasted gram dal and sesame seeds,mix for a minute& take off fire. Mix well till well blended. 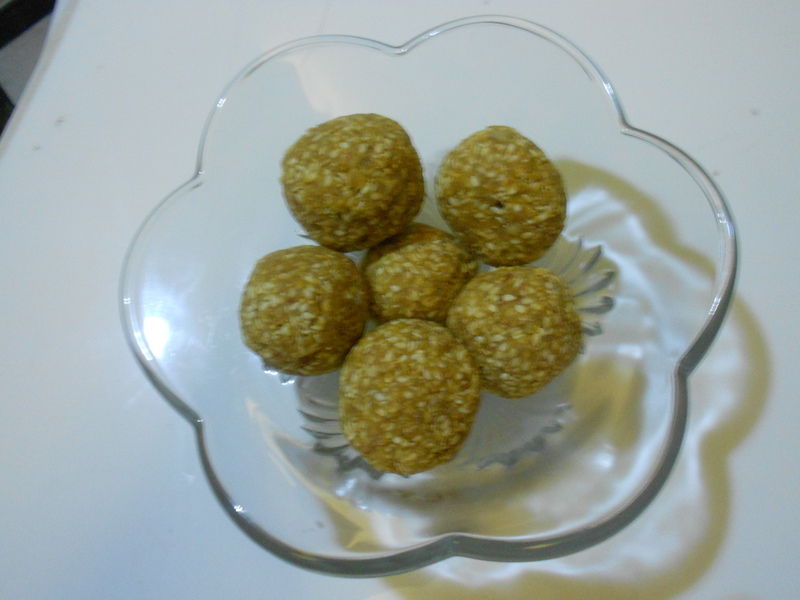 While still hot, shape into small ladoos, with moist hands (apply ghee on your hands).